Tuur Demeester is an independent investor and commentator. He has a background in Austrian economics, the school that specializes in the study of boom-and-bust cycles in the economy. He first discovered Bitcoin on a research trip in Argentina, and started recommending it as an investment at $5 in January 2012. 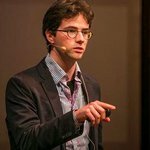 Follow @TuurDemeester for the latest Bitcoin news and analysis! Its potential is not going unnoticed. After it had been praised by tech moguls as Bill Gates (“A technological tour de force.”) and gmail founder Paul Buchheit (“Bitcoin may be the TCP/IP of money”), the money started speaking. We saw investments into Bitcoin by top venture capital brass such as Marc Andreessen, Reid Hoffman, and Fred Wilson; by billionaires such as Richard Branson (Virgin) and Li Ka-shing (richest man of Asia); by iconic executives such as Vikram Pandit (Citigroup), Max Levchin (PayPal), Tom Glocer (Reuters), Bill Miller (Legg Mason Capital); and recently also by large cap companies such as Google, New York Stock Exchange, USAA (American bank & insurer), BBVA (2nd largest bank of Spain), and NTT Docomo ($75b Japanese phone operator). The core value proposition of this network is the fact that, in the words of IBM executive architect Richard Brown, “Bitcoin is a very sophisticated, globally distributed asset ledger.” What Brown and others hint at is that Bitcoin will in the future be able to serve not only as a decentralized currency and payment platform, but also as the backbone for an “Internet of property”. This raises the question: why Bitcoin, and not some other cryptocurrency? The answer may lie in the network effect: of all the cryptocurrencies, Bitcoin is the one with the highest adoption rate and the strongest security. The combined computing power of the Bitcoin mining industry serves as a protective firewall around the payment network, with a replacement cost of nearly $1 billion—and it is growing quickly. In short: no other cryptocurrency is as secure as Bitcoin. This attribute in itself attracts more capital, which in turn makes the network even more secure and performant. Well, since inception of Bitcoin in 2009 to January 2011, its market cap grew to $1.5m. From there, it rocketed to $145m in January 2013, to reach $4 billion in early 2015. Despite a steady price decline in the 12 months following the fall 2013 rally, year on year adoption trends markedly point upwards: as of early 2015, there are 7.9 million bitcoin wallets (+148%), the trading volume on exchanges is $23 billion (+57%), Bitcoin is accepted by 82,000 merchants (+128%), there are 320 bitcoin ATMs (up from only 4), and the network hash rate is 335 pth/s (+8,500%). Enticed by its great potential, the investments in the Bitcoin ecosystem are taking off rapidly. In 2013, little over 40 VC deals were made that raised a total of $96 million. That number nearly quadrupled over 2014, with $335 million invested. Based on these numbers, VC’s such as Marc Andreessen compare the Bitcoin system in 2014 with where the Internet was in 1993.